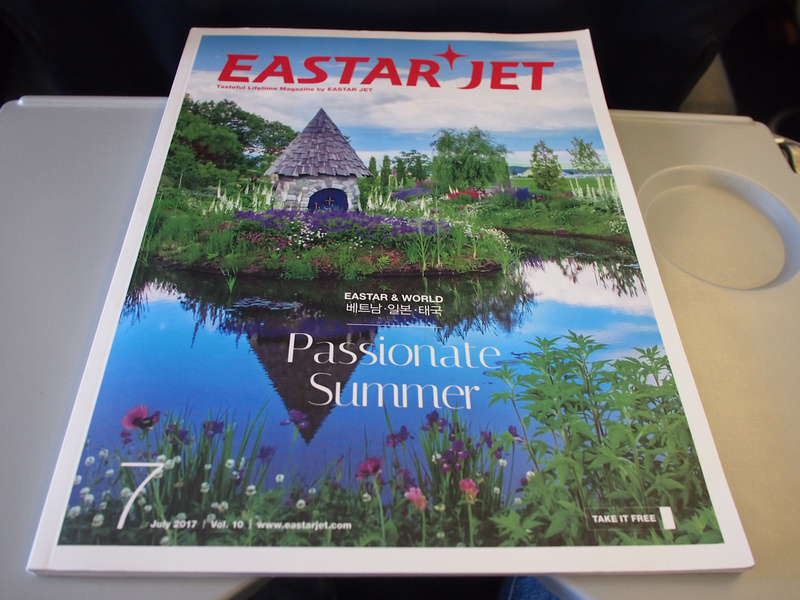 I flew with Eastar Jet from Seoul to Hong Kong. I compared flights with Skyscanner, which gives the option of searching for flights from both Seoul airports (Incheon and Gimpo). In the end Eastar offered a good price at a reasonable hour in the morning. My flight was at 9.10am so I figured I should be at the airport three hours before as I wasn’t familiar with Incheon. 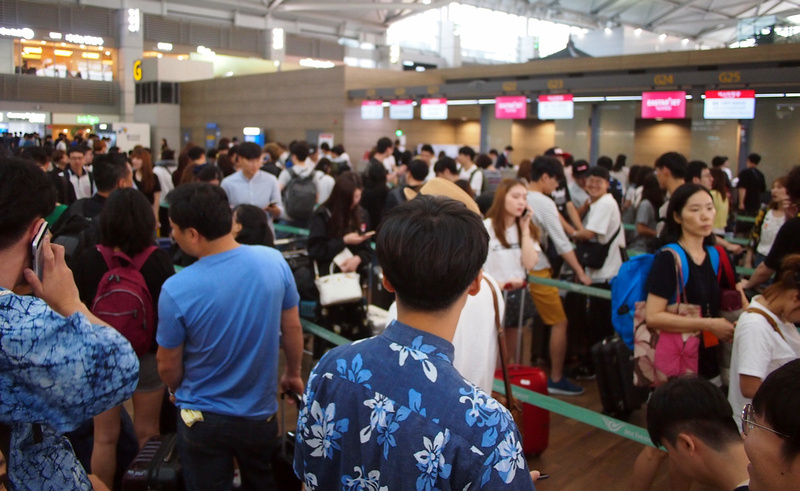 I got the first train from Seoul which arrived at the airport around 6.20am, and there was already a massive queue at the check in counter. I was kicking myself for not checking in online as the online check-in queue was much smaller. It took about 45 minutes to get through the queue. 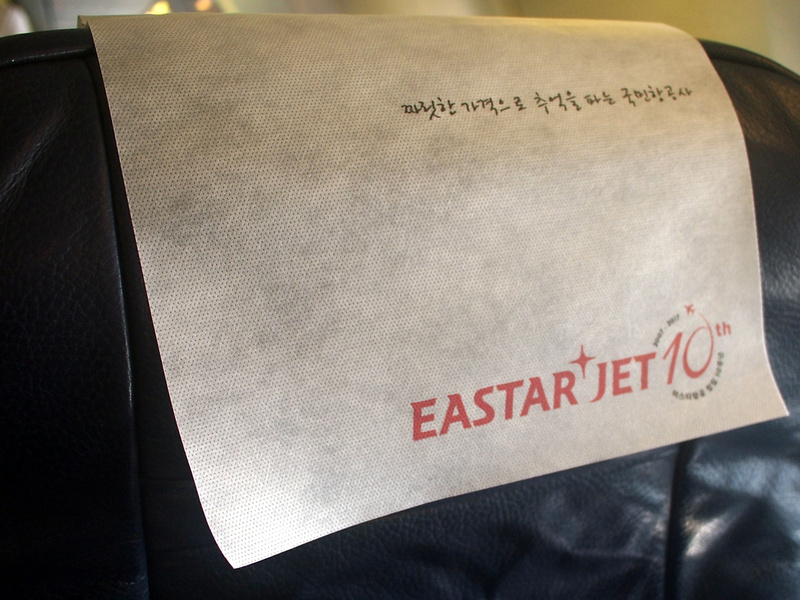 Eastar Jet is a low cost airline based in Seoul, with hubs at Incheon and Gimpo airports. 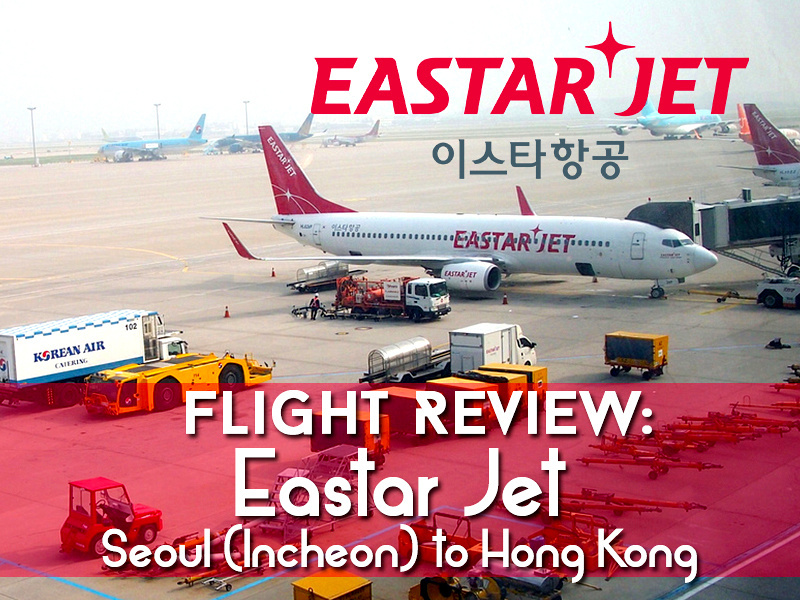 As this was my first time to South Korea and being an infrequent traveller to East Asia, I was not familiar with Eastar Jet. I presume the name is a portmanteau of east and star, though it sounds too much like Easter Jet to me. The airline was established in October 2007 so it was coming up to its 10th anniversary. 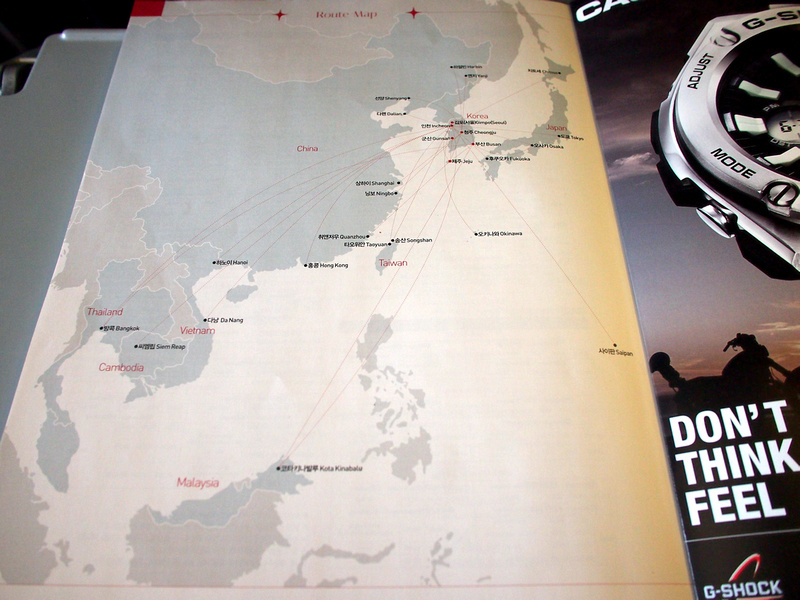 The Eastar Jet inflight magazine is mostly in Korean. As a low cost airline there is no inflight entertainment, so bring your own. For flights around two hours I usually read on my Kindle. 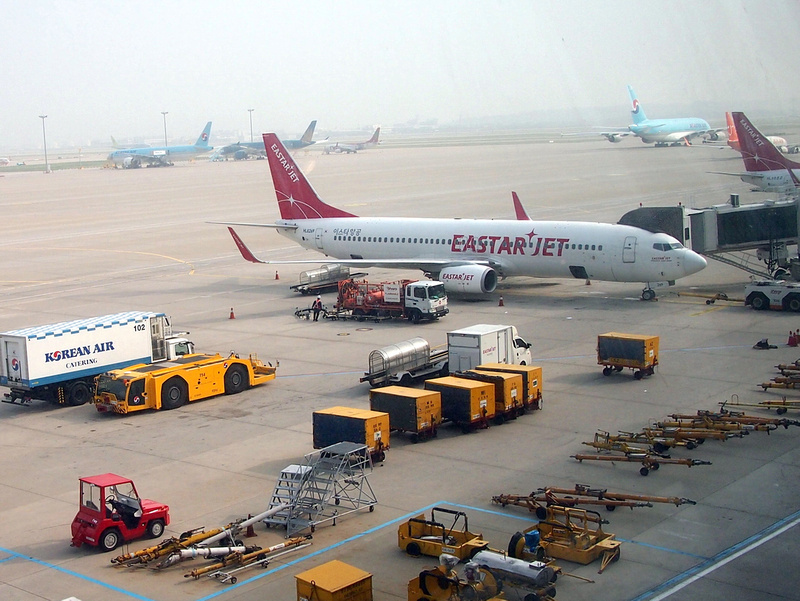 Eastar Jet fly to destinations in East Asia along with a selection of Southeast Asian destinations. 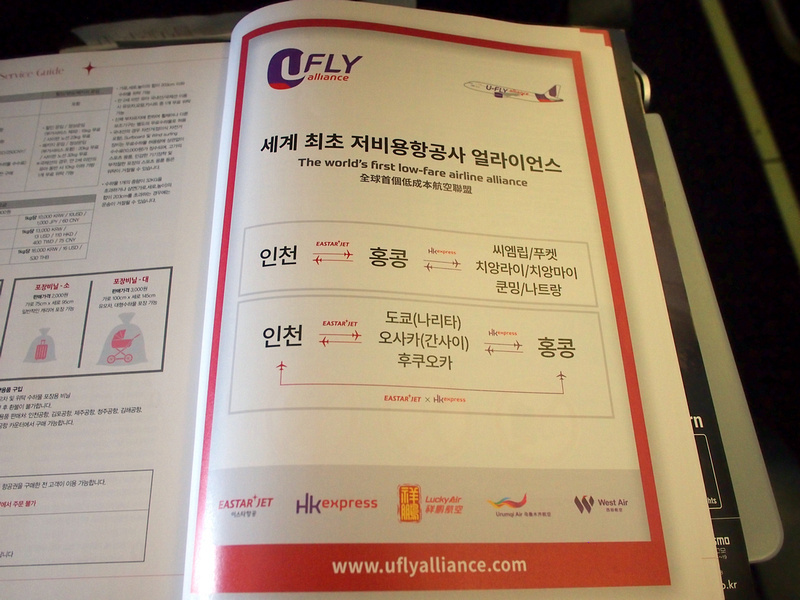 Eastar Jet is a member of U-FLY Alliance – the world’s first low-fare airline alliance. Other airlines in the group include HK Express, Lucky Air, Urumqi Air, and West Air. 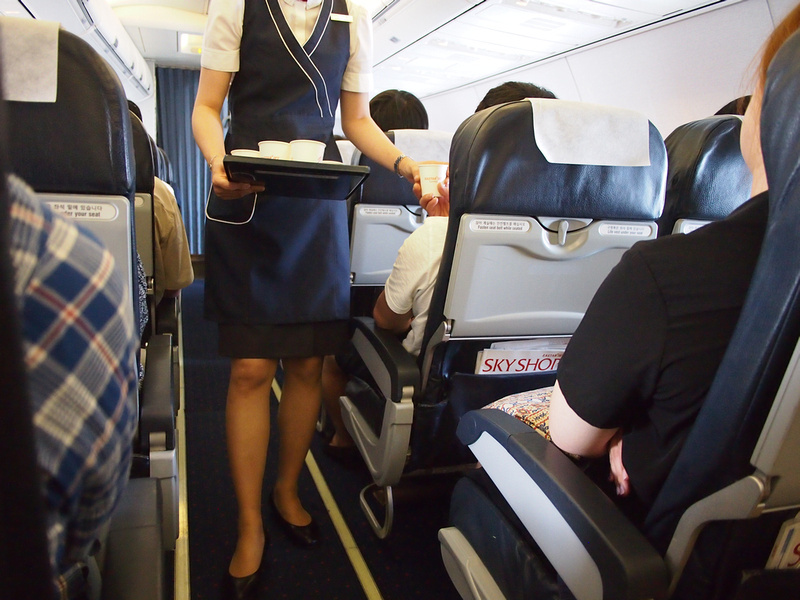 There is no free food or drinks, though they did bring out free water, which every airline should be required to do. They didn’t have any hot meals available in the menu. 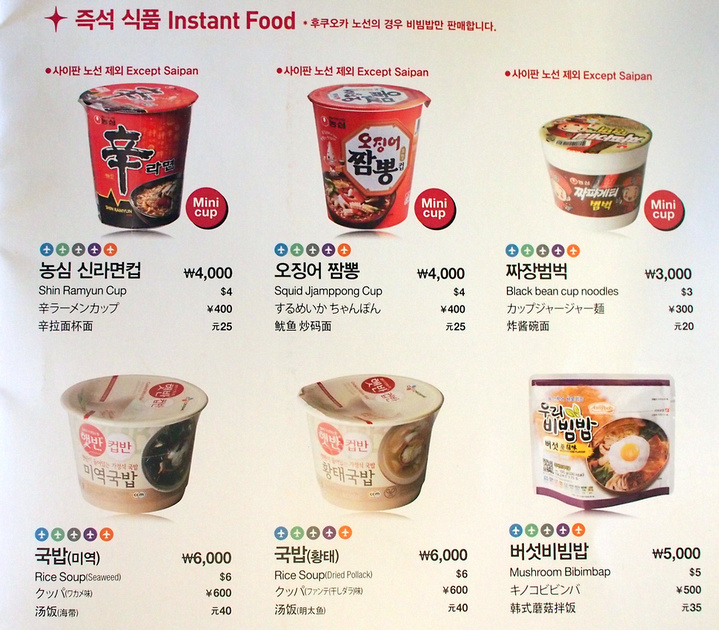 Instead there is a selection of instant noodles. 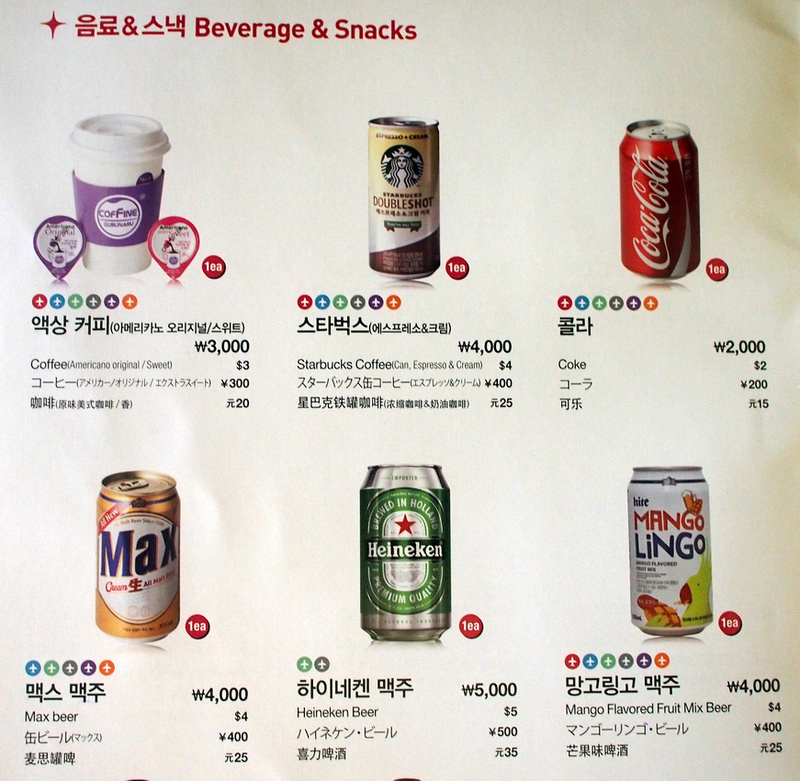 4000 KRW is about $3.50USD. Drinks are available for purchase as well. The flight arrived at Hong Kong on time and overall this was a good service.